Do not let the zombie apocalypse stop you from beautifying yourself, even when zombies come and turn you into a near-mindless beast. 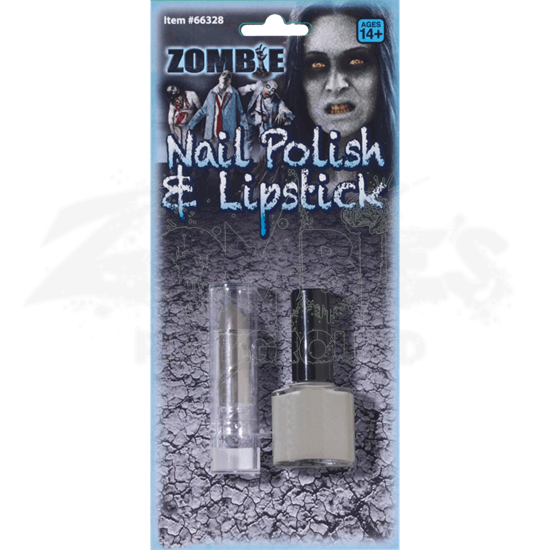 Accent your appearance with Zombie Lipstick and Nail Polish and start a trend among the walking dead. You will be the one of the few ghouls out there with zombie gray nails and lips, and it will be a fashion statement that will have others dying to know your secret. This little set includes two simple makeup items, a tube of lipstick and a bottle of nail polish. Both are a gray color that is certain to accent any zombie girls complexion and appearance. Simply apply one or both after you don your costume and your look will be complete! It is not only for zombies, though, as still-living girls can also enjoy these gray adornments from now until they day they decide to join the ranks of the walking dead! 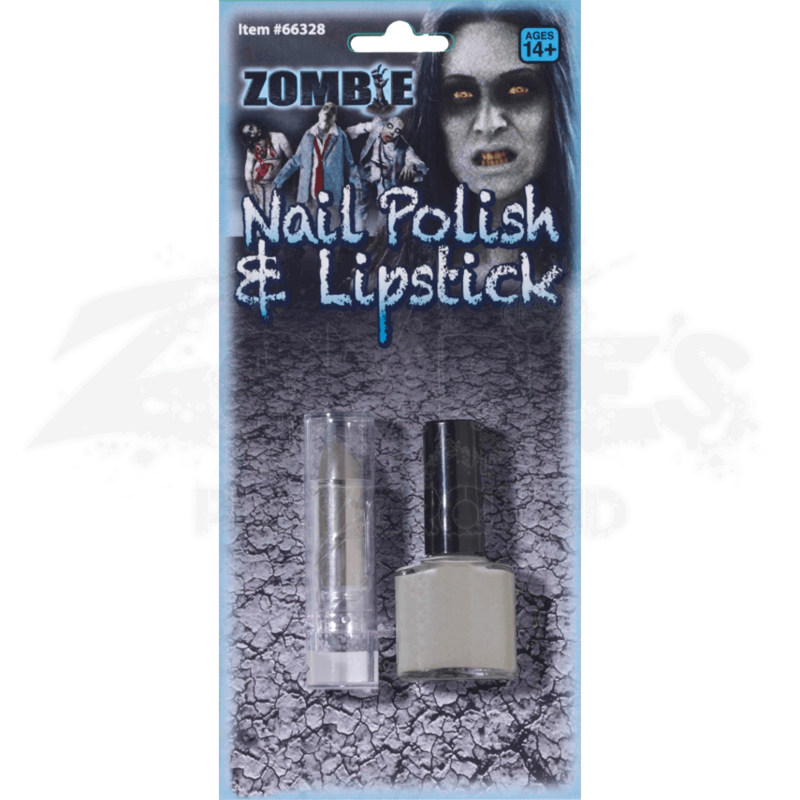 The Zombie Lipstick and Nail Polish is an all but essential accessory for the modern day zombie girl or ghoul enthusiast, and it goes a long way to putting together a look that others are sure to die for!